Since we’ve been married it feels like we’ve been on the road longer than we’ve been home. Less than a month ago we went to Flagstaff, AZ to the Reynolds family reunion. 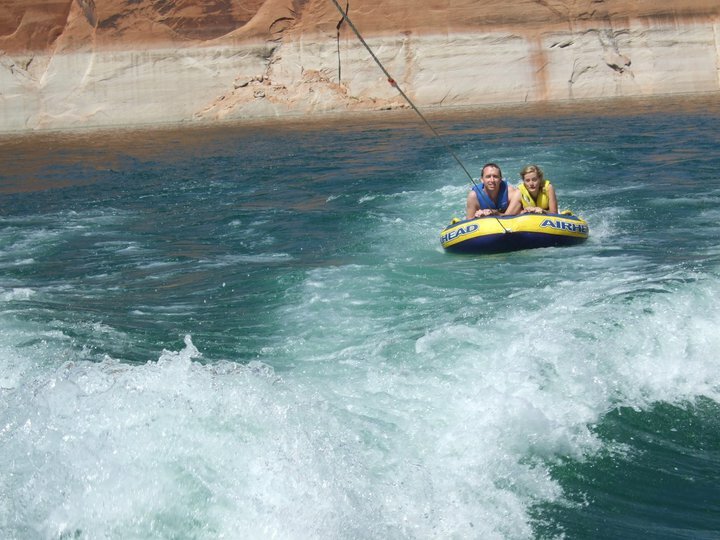 We turned this into a tour of St. George, Flagstaff, Lake Powell, the Grand Canyon (including Jacob Lake), back to St. George, and home. A few days later we went to Boise for the 4th of July to spend time with Holly’s Family. Since I have now instantly become an uncle to 6 nephews and 1 niece, my goal in life is now to become “the favorite uncle” – I have some tough competition but I’m climbing my way to the top. A week after Boise we came to Chicago for Holly’s college newspaper advertising conference and we’re still here for a few more days. Chicago has been great! I am amazed at the incredible structures. Also, people in Chicago are super nice and always willing to help you out. During Holly’s conference we stayed in a dorm room where we had to put our twin beds together to make a King-size bed. But it wasn’t so bad because the view was incredible. You see, since I am able to work wherever I want I brought my work with me to Chicago. I sat at a desk and was often distracted by all the huge pillars around me (see the photo on the left below). We were right in the middle of downtown on the 14th floor. You know what though? The Willis Tower (formerly the Sears Tower) doesn’t look so big from the ground or even from the 14th floor. But once we were up on top of it it’s a whole different story. We stood in these glass rooms at the top on 103rd floor. As you can see, Holly was pretty nervous to be there but she was brave. It actually was pretty freaky. Yesterday we went to the Field Museum where the largest complete T-Rex resides. Holly promised to blog all about it and the rest of our trip later. In the mean time, we’re just chilling out and trying to eat as much deep-dish pizza as we can!